Welcome to the NHS newsroom "
latest NHS news and special notices! 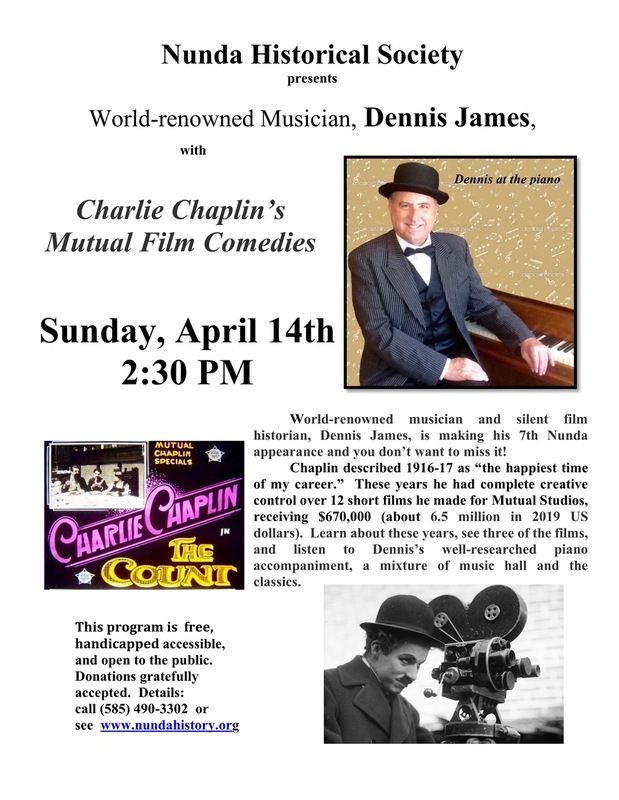 World-renowned musician and silent film historian Dennis James will make his 7th appearance at the Nunda Historical Society, 24 Portage St., Nunda, on Sunday, April 14th, at 2:30 pm. In his program, Charlie Chaplin’s Mutual Film Comedies, James tells the story of Chaplin’s early years (1916-17) at Mutual Studios. Charlie Chaplin had introduced his beloved, baggy-panted Tramp beginning in 1914 while at Mack Sennett's Keystone Studios. By 1916, just two years after appearing in his first motion picture, Chaplin had become the most famous entertainer in the world. That year the Mutual Film Corporation offered him the largest salary ever extended to a motion picture star—$670,000 (about 6.5 million in 2019 US dollars) for a single year’s work—to make twelve two-reel comedies. Chaplin's Mutual period, which he would describe as "the happiest time of my career," was one in which he flourished with complete creative control over his projects. Three Mutual films (all short) will be shown to illustrate how Chaplin’s knockabout farce style matured into his distinctly dramatic combination of humor and pathos, with fully developed characters and consequential plots. This set the stage for his maturation into making full length feature films. Chaplin's different styles as they developed will be reflected in the period-authentic historical revival musical scorings performed by Dennis James. Originally there would have been orchestras accompanying the films - they were never actually silent - but the scores for these Mutual comedies were not written down. Working with the styles and repertoire with which Chaplin himself was familiar, James is confident these are the musical materials he would have both approved of and used. Chaplin was constantly in touch with musicians and the world of variety, so his preferred film music was a mixture of music hall and quotes from the classics. This educational and most entertaining program is open to the public, handicapped accessible, and free. However, donations are gratefully accepted. Don’t miss it! 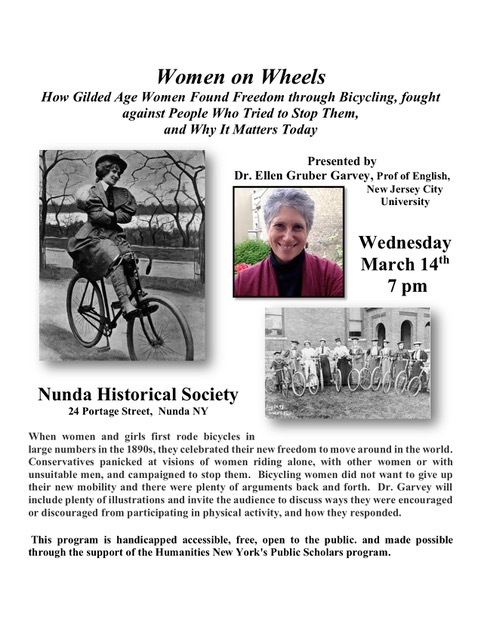 If you have questions: see www.nundahistory.org or call:585-490-3302. 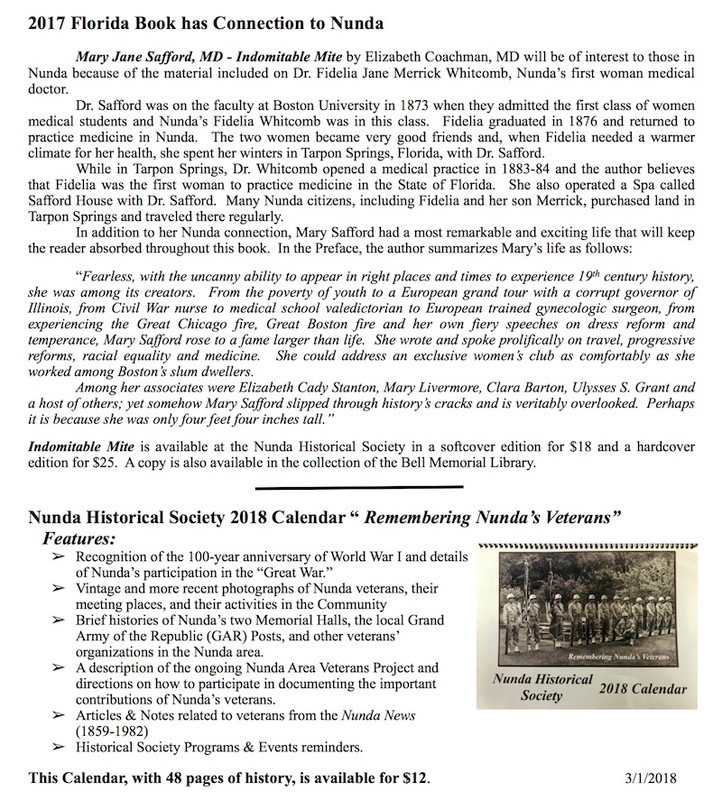 The Nunda Historical Society has announced its programs for the 2019 season! For the full list, go to the Meeting Room. 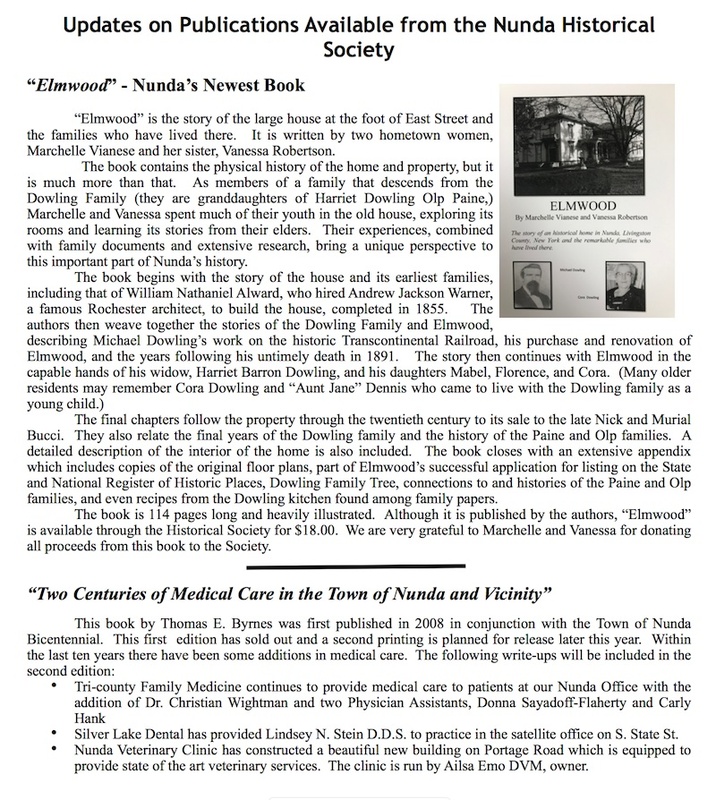 Updates on Publications Available from the Nunda Historical Society.